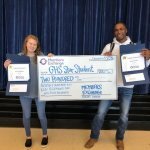 Congratulations, Briasha King and Hayes Crumpler, from Germantown High School for being selected as the Star Students for September and October. This award is voted on by the faculty and staff of GHS, and is based on outstanding academic achievement and strong commitment to community involvement. Briasha King has been a member of the Germantown High School Lady Mavs Basketball team for the past 4 years. She is also a member of Mu Alpha Theta, National Honor Society, and Beta Club. Brisha has been on the All A Honor Roll throughout high school, and she has received several subject area awards including: Human A & P, Ceramics II, Chemistry, and Mississippi Studies. Hayes Crumpler has been a member of the Germantown High School Basketball team for the past 4 years. He is also a member of Mu Alpha Theta, National Honor Society, and Beta Club. He has been on the All A Honor Roll throughout high school, and he has received several awards throughout his high school career including: Contemporary Health, AP Biology, Geometry, World Geography, Algebra I, Biology, and the Citizenship Award. Hayes also spends time mentoring at one of our local elementary schools. 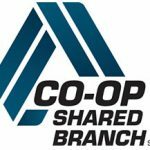 Members Exchange is proud to recognize these students and their accomplishments. The MECU Star Student Award honors students who exemplify strong community engagement and service into their daily lives. 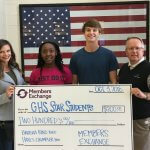 We award 4 students at GHS during the Fall semester with a certificate and $100 check payable to the student. 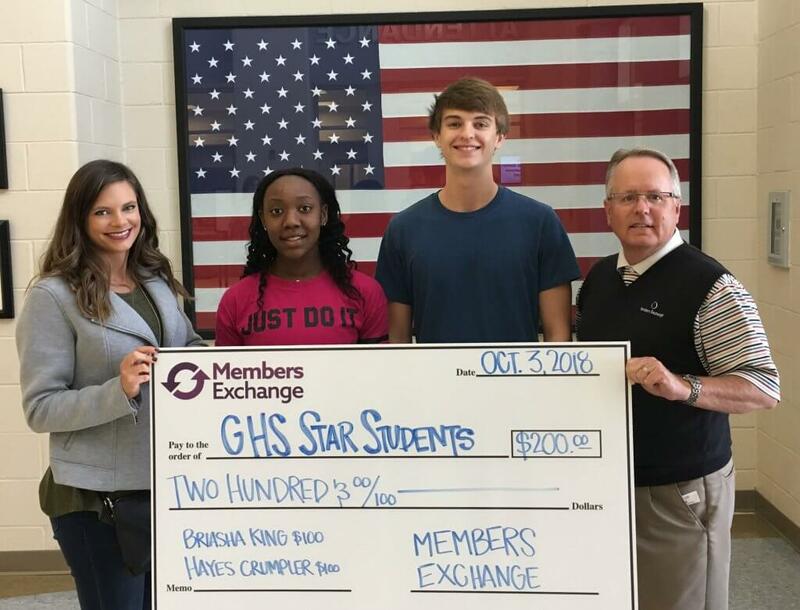 Pictured: Angela Mitchell, AVP Marketing, Briasha King, GHS Star Student, Hayes Crumpler, GHS Star Student, and David Broadaway, AVP Business and Specialized Lending.